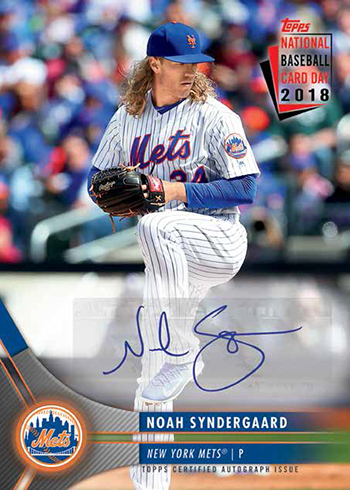 Topps National Baseball Card Day returns in 2018. Set for August 11, it’s a day to head out to Sports Cards Plus and get free baseball cards. 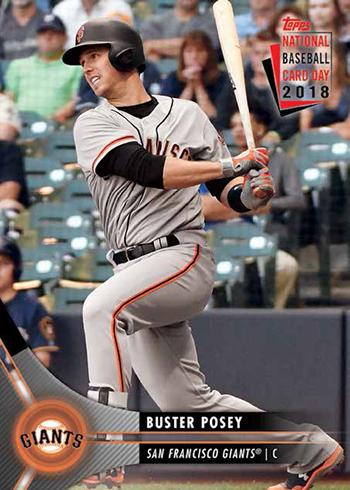 As with past years, 2018 Topps National Baseball Card Day comes with its own exclusive cards only found in 2018 National Baseball Card Day packs. NO PURCHASE NECESSARY! Everyone gets ONE FREE PACK just for going to Sports Cards Plus (one free pack per person per day). This program was designed as an introduction (or reintroduction for those who used to collect) to the world of baseball cards. Collecting is a fun hobby and Sports Cards Plus looks forward to sharing with you our passion for the hobby. Go to Sports Cards Plus on Saturday to get your FREE PACK and meet Charlie (Sports Cards Plus owner), Jeff (my son and partner) and other San Antonio Collectors. Throughout Saturday, August 11th we will be giving away cards and other prizes. With a $10 purchase get a FREE Entry (one entry per person per day) to win our hourly prizes, starting at 12 O'Clock on Saturday. Get an additional entry with each $100 spent at Sports Cards Plus. The free 2018 National Baseball Card Day pack comes with six cards. Autographs are randomly inserted. The big hit is the Shohei Ohtani Autograph. And to add to the excitement, first person to pull the National Baseball Card Day Ohtani Autograph in our store (must be opened in our store at the time we give the pack to you) WINS $100 at Sports Cards Plus. 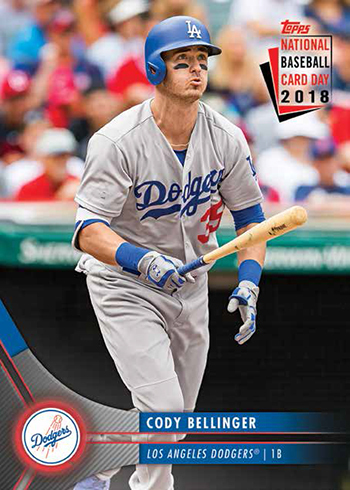 To complete the full 2018 Topps National Baseball Card Day set, collectors will have to make a qualifying purchase at a participating shop. Card #1, Aaron Judge, is available on August 11, like the packs. To get it, you have to buy $10 worth of Topps products. That said, you may want to check with your local shop first to see that they are involved. Topps is making one change to the program to send collectors back to hobby shops a second time. 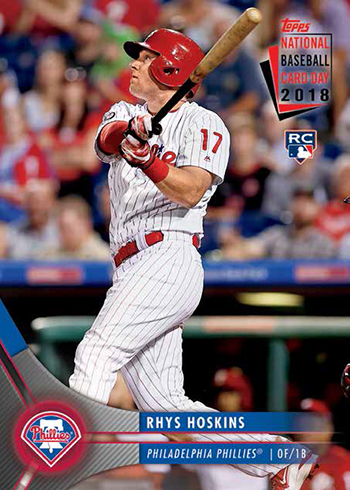 On August 25, a special Rhys Hoskins will be made available. Like the Judge, it requires a $10 purchase. Once again, Major League Baseball and the players are getting involved. Topps has baseball card giveaways scheduled for every baseball stadium this summer. All told, Topps estimates they will be giving away more than 1.2 million packs. The dates vary from stadium to stadium, but many of them are around the actual National Baseball Card Day. MLB will also help promote the event and the industry with things like video ads to be played in stadiums beforehand. Don't miss out on the fun. Go to Sports Cards Plus on Saturday, August 11th for National Baseball Card Day.